Even though it’s “technically” Fall, the temperatures outside don’t reflect it…yet. Word on the street, however, is that cooler weather is (thankfully) on the way! With that in mind, many “outdoor” pests may decide that indoors is the place to be. One of those outdoor pests that we contend with in the Fall is the American Roach. Cooler weather conditions can be responsible for an increase in American Roach sightings in basements, kitchens, laundry rooms, bathrooms and on and on. 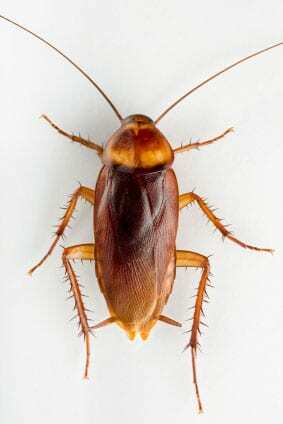 American Roaches are the species commonly referred to as “large enough to throw a saddle on.” They are also referred to as “water bugs” “palmetto bugs” and/or “wood/tree roaches.” Reaching up to 2 and 1/8 inches long, the adults are reddish-brown with pale brown or yellow markings. Although they do have wings, American Roaches usually fly only if temperatures are above 85 degrees or if disturbed. Commonly found in sewers, trees, shrubs, woodpiles, flower beds, and in dense ground cover, American Roaches require the shady, moist environment these habitats provide. Although they feed on a variety of food, including small insects, fungi and algae, American Roaches prefer decaying organic matter such as leaves and wood particles. So, how do we help prevent an infestation in and around our homes? Because American Roaches, among other pests, require moisture and are active at night, watering the lawn in the morning so it will dry before evening will help to reduce American Roach populations. Replacing torn screening, worn weather-stripping and cracked caulking will also help prevent pests from coming in as well as conditioned air from going out. 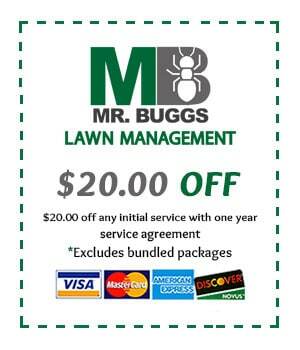 Fewer pests inside and lower utility bills would be a definite win-win for any homeowner! 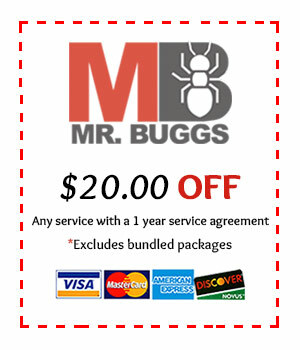 If you should be experiencing a problem with American Roaches, or any other pest, please contact Mr. Bugg’s Pest Patrol today for a FREE evaluation and solution.